CarGurus has 5,992 nationwide Cayenne listings starting at $3,500. Were we clamoring for more power out of the Cayenne? If Porsche hasn’t already alienated its faithful with the additions of 4-door sedans and SUVs, they’re trying hard to confuse the rest of us with nearly endless iterations of their automotive ambitions. To wit: This year we see the debut of two new Cayennes, a turbodiesel and a GTS. To be fair, the turbodiesel is more in line with what the Cayenne is supposed to be. An SUV is supposed to be packed with enough torque to peel the asphalt away beneath it, and 406 lb-ft should be enough to get the job done. You’ve already seen this engine doing duty in the Audi Q7 and the Volkswagen Touareg (which is a totally different vehicle than the Cayenne, really! ), but here it comes with AWD and a 7,700-pound towing capacity. On top of that, the 3.0-liter V6 produces 240 hp with the forced induction and thanks to an 8-speed automatic manages to return a 20 mpg city/28 highway rating, which blows the S Hybrid’s 20/24 mpg right off the road. Of course, Porsche is no stranger to competing with itself. Look at the lineup for the 911, the Cayman or the Boxster, and you’ll be undertaking a study in continual revision. Case in point is the GTS—the second new Cayenne for 2013. This one looks like the Turbo trim but sits with a naturally aspirated version of the 4.8-liter V8 that offers 420 hp—20 more than the Cayenne S. It also gets the 8-speed automatic and sits nearly an inch lower than the S, with stiffer dampers as well with the standard Porsche Active Suspension Management. From the side, the lowered stance makes the GTS look more aggressive, helped in no small part by lowered side sills, wider fenders, a gaudy double rear spoiler and some gloss black window frames. Quad exhaust tips are black as well, and the hood, front fascia and lamps front and rear are ripped right off the Turbo trim. Everything but the exhaust is available for other Cayennes, but here you’ll get the option of Porsche’s Sport Chrono package, and that’s a first for the German SUV. Seats are leather/Alcantara, come fitted with a memory system and are exclusive to the GTS, and the interior gets nearly all the options available that would push the price of the base S past $100K. The transmission was tweaked as well, and here the 8-speed gets a 20 percent shorter final drive ratio of 3.7:1 as well as some hydraulic help which should increase flat-out shift times by a claimed 5 percent. Looking for a manual option? Too bad. Twenty-inch wheels sit flush with the wider wheel wells, increasing the track 0.5 inches up front and 0.7 in the back. This looks great and makes the Cayenne a bit more nimble, too, but why is Porsche trying so hard to make this more and more like a sports car? Why not address the fact that its cargo capacity is still lacking, or how it can’t compose itself off-road. Sure, the vast majority of SUV owners never venture past the pavement, but isn’t it embarrassing to know your SUV can’t cut the muddy mustard? At least the new turbodiesel has that impressive towing capacity. 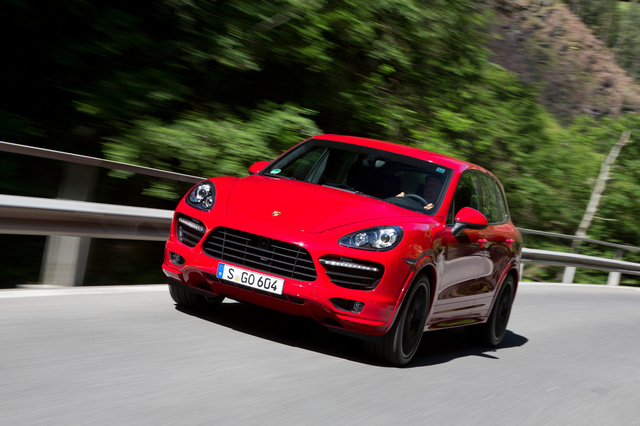 What's your take on the 2013 Porsche Cayenne? Nathometheatre The Porsche Cayenne is the best mid sized SUV I’ve driven, and I test drove just about all of its competitors. 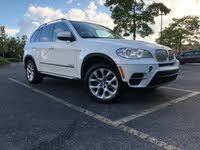 Very luxurious standard features package, has plenty of power, and plenty of internal space for my family and I. I bought a 2013 Porsche Cayenne and am very pleased with it! Nathometheatre I highly recommend the Porsche Cayenne! Users ranked 2013 Porsche Cayenne against other cars which they drove/owned. Each ranking was based on 9 categories. Here is the summary of top rankings. Have you driven a 2013 Porsche Cayenne? CLEANING A 2013 PORSCHE CAYENE RIMS/WHEELS AND GETTING A RACTION ON ALLOY RIMS AND DISCOLOURNG? ANYONE KNOW WHT THIS IS?